1. 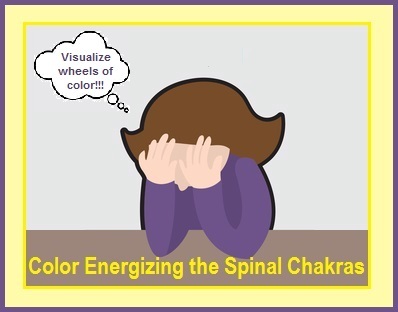 Close your eyes and visualize the color corresponding to the chakra you wish to enliven. 2. Place both hands over your eyes and visualize that particular color flowing into the palms of your hands and energizing them. 4. 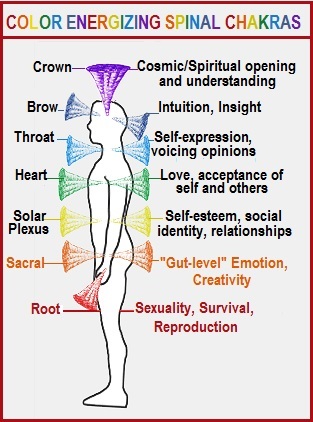 Repeat the same procedure for any or all of the remaining chakras, usually for three minutes at a time, to align, restore, harmonize, and balance, as desired. 5. Remember, this simple exercise can be used to give an overall boost to the system, focus healing on a specific area of the body, or to strengthen the dimension of life associated with a particular chakra.